FOR FUNERALS TAKING PLACE ON SATURDAY OR SUNDAY, ORDERS MUST BE IN BY THURSDAY. 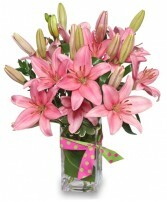 MONDAY MORNING ORDERS MUST BE IN BY WEDNESDAY TO ALLOW FLOWERS TO BE ORDERED. ANY SPECIAL ORDERS OR TIMES, PLEASE CALL AHEAD TO VERIFY YOUR OPTIONS. THANK YOU! !